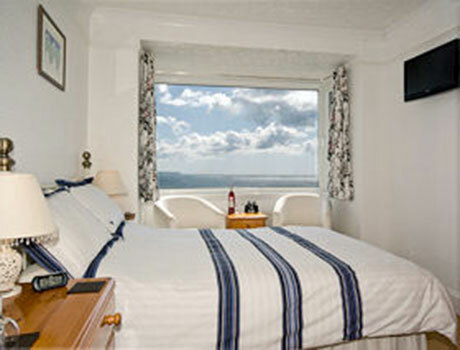 enjoys panoramic views across Looe Bay from Rame Head to Looe Island. In a quiet, coastal location in the picturesque fishing village of Looe, within a two minute walk of the coastal footpath and beach. 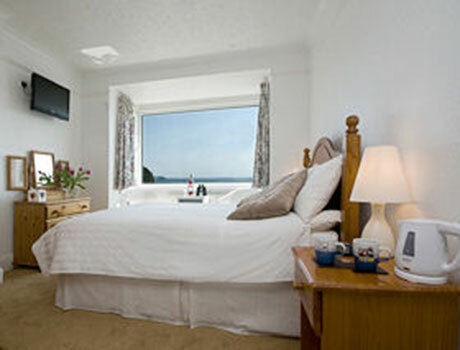 Seaview has a real beach house feel, our rooms are light and airy and tastefully furnished. 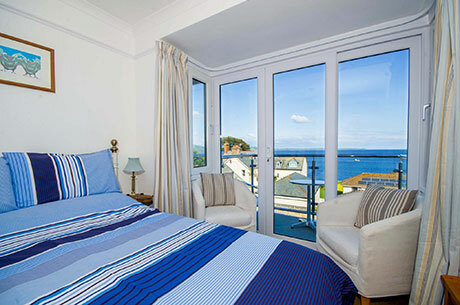 Our two first floor double en-suite bedrooms have large bay windows with stunning sea views. Relax with a glass of wine and watch the fishing boats come in. We offer a buffet of cereals, yogurts, fresh fruit and fruit juice followed by a full English breakfast, or smoked haddock, or a continental breakfast of hot croissants and jam. All enjoyed with sea views in our dinning area or you are welcome to eat out on our patio. Local amenities include a Tavern, several restaurants, cafes, tennis courts, bowling and putting green also a hotel with swimming pool and leisure facilities. The centre of Looe, harbour, boats, shops and many good restaurants, pubs and cafes is a short waterside walk away. 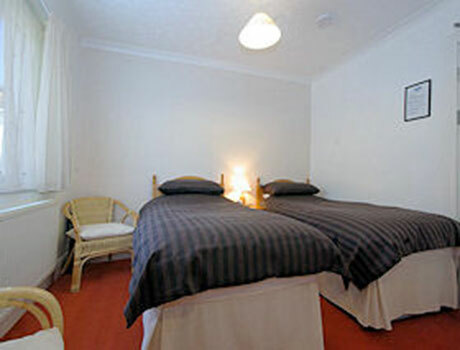 All rooms are en-suite, have flat screen T.V. and hospitality tray. There is ample free parking and free Wi-Fi. Proprietor Sharon Collings welcomes you to visit our website, email or phone for more information. 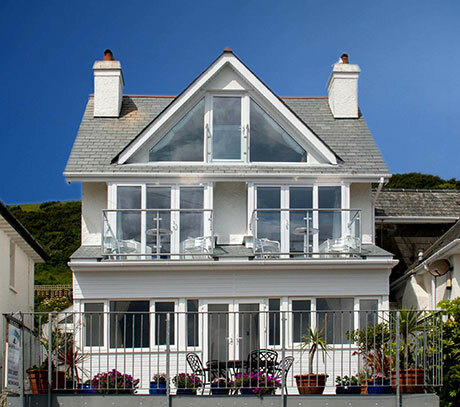 Seaview, Portuan Road, Hannafore, West Looe, Cornwall, PL13 2DW.